Blog » Things children really need from their Fathers. Things children really need from their Fathers. 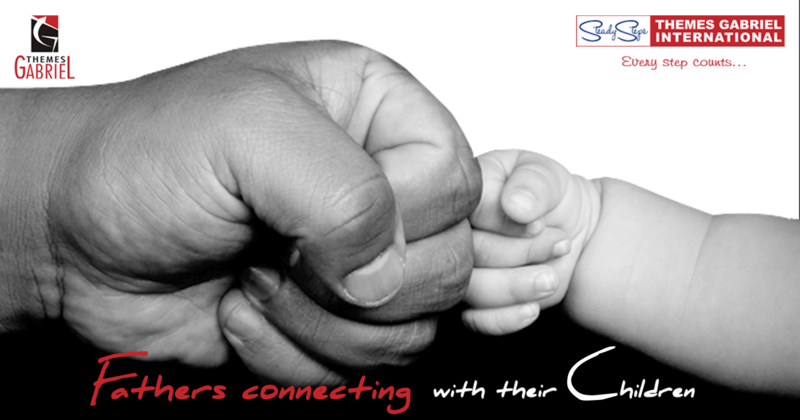 The importance of fathers in the overall development of their children cannot be overlooked. No matter whether you are a father of a newborn or your children are in school, being a father you have great responsibilities as the dad effect starts right from the birth of the child. Researchers are of the opinion that babies with involved dads grow up to be more emotionally secure, confident and eager to explore things in new situations and surroundings. Not only this, these children have higher IQ levels and better problem solving skills also. A quick look at the top 5 things which children really need from their dads. No one is perfect in this world. So, you should be prepared to accept that you too can make mistakes. For example if you yelled at your children or were not present for their function in school, say sorry. Treating children with respect will make them do the same. You will feel good when you will pay attention to the effects that your actions have on them. Do not forget that children look up to their dads. You are their leaders and their idols as well. It is advisable that no dad should underestimate their impact on their children and their lives. Be humble and help them learn skills that are going to improve their lives. Take some time out and spend quality time with each of your children. Your children will remember and recall these moments always in their lives. Just keep in mind that your children want your undivided attention. So, try to keep your mobile phone and other distractions off when you are spending time with your children. Make them feel that you are genuinely interested in what is going on in their lives. If you show them respect, your children will have high self-esteem. If you show them what they matter to you, they will feel special about themselves. It doesn’t matter how you were brought up because now things have changed a lot and there always has been the ‘generation gap’ problem. Let your children know that you love them and they are special for you. Show your love and say it. Hug your child and let them hug you. If your children are away from you, write to them letters that are motivating and filled with encouraging words. They will treasure these letters even when they grow up. Children look up to their dads for protection no matter what the situation is. Make sure you are there when they need you. Sometimes just listening to their problems and calming them down would do wonders. Always keep in mind that you should not react to any situation before you listen to what your child says. Stay involved so that you know what kind of friends and peers your children are spending time with. This will also make you monitor your children well and save them from getting involved in any kind of wrong deeds. Children will need you in different ways throughout their lives. Both boys and girls look up to their dads as the ideal adult model of manhood. Remember, children are observing you every minute. So, do not make mistake. They are watching you how you treat others and how you handle stress and frustration. They are also observing whether you fulfil your obligations well or not and whether you are able to carry yourself with dignity or not. Boys will become like you and the girls will look for a man like you to spend their entire life with. So, it is your responsibility to give them the image of adult manhood to which they can be proud of along with you. Children, whose parents provide them what they need, live better lives and feel valued and special. They want to see the role of a male acting responsibly in their dads. Not only this, children like dads who are able to balance discipline with fun. They want their fathers to establish firm and reasonable limits and at the same time relax and have fun with them. So, cherish good memories with your children and enjoy life along with helping them learn life skills and facts needed to run a better life. Every moment of the life of your child counts. So, make certain that you be there for your child always.